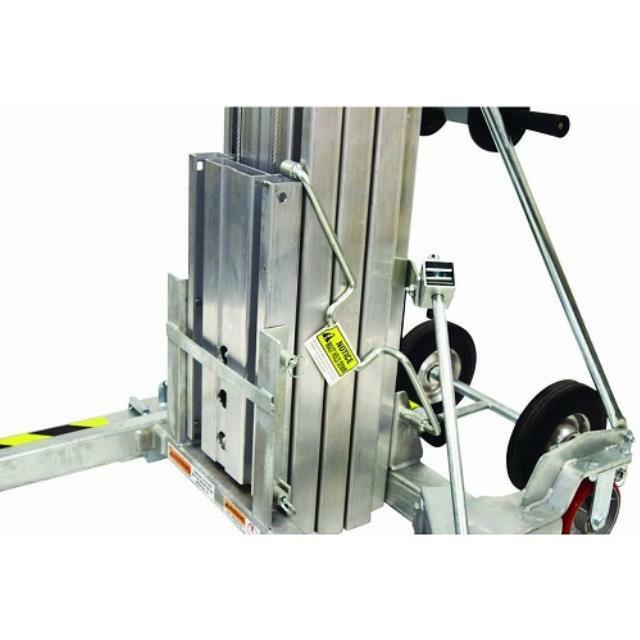 The 15' heavy duty material lift works the same as our traditional material lift, but it features an improved lifting capacity. When the load is centered and pushed to the back of the loading forks, it can lift up to 1000 lbs to a 15' height. Click here for the Sumner 2615 operator's manual.